Please see property House Rules for additional disclosures, property checkin and checkout times, and specific details regarding property amenities for the unit you have reserved. ALOHA, we look forward to having you as our guest! Please review this Rental Agreement ("Agreement") in its entirety. It will govern your rental arrangement and legally binds you ("guest") to the terms set forth below. This rental is conditioned expressly upon your acceptance without modification of the terms, conditions, and notice requirements set forth below. RESERVING WITH MAUI GOLD CONDOS AND MAKING YOUR PAYMENT, CONSTITUTES YOUR AGREEMENT TO ALL SUCH TERMS, CONDITIONS AND NOTICE REQUIREMENTS, INCLUDING THE CANCELLATION AND NO REFUND POLICY. Additionally, reserving and making payment on any unit constitutes your agreement to contract electronically as well as authorization for Maui Gold Condos to charge your credit card to reserve this rental according to the Payment Terms stated below. Once your credit card is successfully charged or your other form of payment is timely received, we will issue you a confirmation notice. If your required payment is a deposit, the balance of your full payment is due 60 days prior to the commencement date of your rental period. By authorizing payment via credit card you are authorizing Maui Gold Condos or VRBO/HomeAway to charge your credit card the balance of the total charges 60 days prior to the commencement date of your rental period. If you book your rental less than 60 days in advance of your stay, we will charge your full payment immediately by credit card or you must otherwise arrange for payment immediately or your reservation will not be accepted. If a balance payment is to be made, a payment request and confirmation notice will be sent to you via email when your final payment is due. It is strongly recommended that Guests purchase travel insurance. You are a valued Guest and we want to do everything possible to make your trip enjoyable and worry free. Because the unforeseen and unexpected can occur before you leave or when you are away from home, we recommend all guests purchase travel insurance. CANCELLATION after confirmation of booking, which includes a Guest's decision not to stay at a rental upon arrival, results in forfeiture of any and all collected money, except the Guest's security deposit and cleaning fee (if applicable) if full payment has been made. The security deposit and pre-paid cleaning fee are not part of the deposit to hold the rental. The security deposit and pre-paid cleaning fee (if applicable) are included in the balance payment, therefore, the total deposit will be forfeited if you cancel after confirmation of booking. Collected money is non-refundable unless the rental unit becomes unfit for habitation as deemed by Owner and/or Maui Gold Condos. Under no circumstances shall Guest be able to determine if a rental unit is unfit for habitation. However, after cancellation for any reason, if a portion of the rental time is re-booked at the same rate, a pro-rata refund will be made for those dates re-booked. All refunds of rental services payments, whether complete or pro-rata, will be subject to a $200 cancellation fee. Processing fees and travel insurance are non-refundable. To protect against cancellations caused by certain unforeseen events, such as illness, we recommend that Guests purchase travel insurance to assure refund of deposits/payments paid. CHANGES refer to lengthening and/or shortening stay or altering dates by a few days, not moving the entire reservation to a different set of dates, which is considered a cancellation. Once booked, CHANGES may not be possible, especially shortened stays if the unit has reservations backing up to your existing reservation arrival and/or departure days as any new gaps created would be therefore be unbookable. Acceptance of any CHANGE is subject to approval by Maui Gold Condos. Any approved CHANGES made to a booking after a confirmation has been issued may be assessed a $200.00 service fee. HURRICANE/TROPICAL STORM/TSUNAMI CANCELLATION AND REFUND POLICY: A Reservation Agreement is not invalidated by inclement weather unless a Tsunami, Tropical Storm or Hurricane mandatory evacuation ordered by federal, state, or local authorities occurs. If a mandatory evacuation order is issued, we will refund; A) a prorated refund for each night that the guest is unable to occupy the property due to a mandatory evacuation order; B) for guests scheduled to arrive that shorten their stay to arrive after the mandatory evacuation is lifted, a prorated refund for each night of the mandatory evacuation order will be refunded; C) Once a mandatory evacuation has been lifted, if Maui Gold Condos LLC staff assesses and determines the property uninhabitable or inaccessible due to closure of roads, a refund of any unused nights of the scheduled stay will be provided. If the property is deemed to be habitable and accessible by Maui Gold Condos LLC staff and is able to be re-occupied for the remainder of your scheduled stay, no refunds (other than for any nights unable to be occupied due to a mandatory evacuation order) will be provided. PLEASE NOTE THAT A GUEST’S DECISION TO CANCEL THEIR STAY DUE TO A TROPICAL STORM OR HURRICANE IN THE AREA OR A TROPICAL STORM OR HURRICANE WATCH OR WARNING WHEN NO MANDATORY EVACUATION HAS BEEN ISSUED BY FEDERAL, STATE, OR LOCAL AUTHORITIES WILL RESULT IN FORFEITURE OF ANY AND ALL COLLECTED MONEY, EXCEPT A GUEST’S SECURITY DEPOSIT (IF APPLICABLE) AND CLEANING FEE. *A SECURITY DEPOSIT is required for some properties to cover damage to and/or loss of items from the rental, long distance telephone calls not billed to credit cards or a third party, and /or excessive cleaning (as determined by housekeeping upon your departure) i.e. excessive trash disposal, excessive laundering, upholstery or carpet shampooing, etc. For rentals where a SECURITY DEPOSIT is not required, Guest authorizes Maui Gold Condos to charge Guest's credit card in the event of damages to and/or loss of items from the rental and excessive cleaning. You hereby authorize Maui Gold Condos to apply such Security Deposit to pay for such items and to charge you via credit card, if applicable, or by written bill for any such items beyond the security deposit outlined in this agreement, such as long distance phone calls, unpaid expenses for services rendered to Guest, damaged or missing property, etc. *ALL RATES are quoted on a per night basis for no more Guests than the maximum occupancy listed. 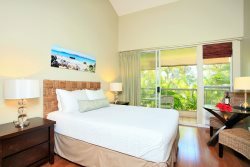 Additional Guests must be disclosed to and agreed to IN WRITING by Maui Gold Condos. Verbal confirmation by Maui Gold Condos will not be given for additional Guests. *Exceptions to CHECK-IN and CHECK-OUT times must be approved in writing by Maui Gold Condos. In the event of holdover by Guest beyond the departure date set forth in this Agreement, Guest shall pay an amount equal to three (3) times the daily rate for each and every day of such holdover. UNAPPROVED LATE CHECKOUTS OF LESS THAN ONE DAY WILL BE CHARGED THE EQUIVALENT OF THREE (3) DAYS FULL DAYS RENT. *Guest understands that the owners of these rentals retain the right to sell their rental at any time. In the event the vacation accommodation is sold by the owner, Maui Gold Condos will use its best efforts to provide a substitute vacation accommodation to the Guest of equal or greater value, up to 100% of the value of the original agreement. If Maui Gold Condos is unable to find such accommodations, then at Maui Gold Condos or Guest's option this Agreement shall be cancelled and terminated and Maui Gold Condos shall refund to Guest all payments made by Guest under this Agreement, and Maui Gold Condos and Guest shall thereafter not have any liabilities or obligations to the other arising out of the unavailability of the rental property and/or Guest's travel arrangements. *Guest acknowledges that the rental owner and/or their agent retain the right to enter the rental for any reason during emergencies such as plumbing leaks, fire alarm going off, etc. In the case that the property is ever listed for sale, guests are to allow showings (no more than 2 days/week) with 24 hours notice. *Guest agrees and acknowledges that this rental arrangement is not subject to the residential landlord/tenant code of the state in which this rental is occuring (such as the Hawaii Revised Statutes chapter 521) since this is not a long term residential rental. *All disputes arising out of this Agreement shall be subject to the exclusive jurisdiction and venue of the Hawaii State courts of Honolulu County, Hawaii, (or, if there is exclusive federal jurisdiction, the United States District Court for Hawaii) and the parties consent to the personal and exclusive jurisdiction and venue of these courts. Affect of Cancellation. If this contract is cancelled for any reason, Guest no longer reserves the right to stay at the booked accommodation. However, this contract remains a legally binding contract and Guest agrees the CANCELLATION AND NO REFUND POLICY and applicable sections of the GENERAL TERMS, CONDITIONS AND DISCLOSURES and CONDITIONS OF RENTAL, and the ADDITIONAL DISCLOSURES section remain in full force and affect. *Severability. If a court of competent jurisdiction finds any provision of this Agreement to be illegal, invalid, or unenforceable as to any circumstance, that finding shall not make the offending provision illegal, invalid, or unenforceable as to any other circumstance. If feasible, the offending provision shall be considered modified so that it becomes legal, valid and enforceable. If the offending provision cannot be so modified, it shall be considered deleted from this Agreement. Unless otherwise required by law, the illegality, invalidity, or unenforceability of any provision of this Agreement shall not affect the legality, validity or enforceability of any other provision of this Agreement. * Reservations are for quiet residential vacation accommodations only. Therefore, parties, receptions, luaus, events, and gatherings of any kind are strictly prohibited. No additional people beyond the maximum occupancy of the house are allowed on the rental property at any one time, unless disclosed to and agreed upon by Maui Gold Condos in writing. * The number of adults and children staying at the rental must be listed below. If the number of the Guests in your group change, this must be communicated in writing to Maui Gold Condos. Additional Guests beyond those identified at the time of booking are not permitted and may result in an additional fee of $100 per person/per night or immediate cancellation of reservation without refund. Maui Gold Condos does not verbally confirm additional Guests. Additional Guests must be approved by Maui Gold Condos in writing. * Quiet hours are from 8pm until 8am. Loud amplified music is not allowed at any time. Noise complaints will be deemed by Maui Gold Condos as a breach of this Agreement and may lead to cancellation without refund. * The rental shall be in the same condition upon departure as at check-in, normal wear and tear excepted. Excessive cleaning as defined above will result in an extra fee. * Guest may not sublet or assign this Agreement. * Guest may cook only in areas specifically designated for cooking in the rental. * Guest must immediately notify Maui Gold Condos of any fire or other damage or injury to the rental or any person on the rental property. * Guest shall be liable for all acts of the family, invitees, employees, or other persons invited onto the rental property by Guest. * Guest shall be responsible to return all keys including magnetic key cards upon departure. Lost keys or openers will be charged to the guest, usually $25 per key. * Guest shall abide by the House Rules of the Owner and/or the Condominium Association as provided to Guest upon check-in. * Guest shall not bring any pets into the rental or onto the rental property. * Guest understands that Maui Gold Condos cannot guarantee that adjacent properties will be free from disturbances and/or not be under construction, being repaired or maintained in any way, or that State construction projects will not be in progress around the rental unit. Construction on adjacent properties is not reason for termination of this agreement, nor is it a reason for the refund of any monies to Guest. * Equipment occasionally malfunctions and cannot be guaranteed 100% of the time. Agent will correct the problem(s) as soon as possible. An authorized repairman may enter the premises to repair such equipment. Refunds will not be issued due to malfunctioning equipment including internet access. This includes any closed amenity such as pools, hot tubs, tennis courts, weight rooms, etc. * Non Smoking Properties: Hawaii is now a non smoking state. All condos are non smoking inside and outside. If there is any evidence of smoking, you are responsible for the additional expenses for the restoration of the property. * Guest understands that there are certain risks inherent to persons and property regarding pool use, ocean use, etc. Guest acknowledges that the Owner would not rent this rental unless the Guest accepted these conditions and assume these risks. * Lost or Stolen Items: Maui Gold Condos is not responsible for any personal items which may be lost or stolen from your rental. Use the provided safes and always lock all of the doors and windows when you leave the property. Do not leave your valuables in plain sight. * ANTS, BUGS, RODENTS and GECKOS/LIZARDS: Sure, we hate 'em, too. But pests are a reality in tropical Hawaii, especially during the summer months, and you WILL undoubtedly encounter some of our local pests during your stay, regardless of the season. Some critters, like the enormous American Cockroach, can even fly inside from their nests outside. We do our best to keep the pests away - this property is professionally cleaned after every rental and receives quarterly pest control treatments. As creepy as they may make you feel, roaches or line of ants in this part of the world is a fact of life and does not mean the property has been poorly maintained. Contact with a pest inside or outside of your rental is not reason for termination of this Agreement nor is it a reason for a refund of your monies. Please contact us immediately should you have any pest issues so that we can remedy it as quickly as possible! * Any issues Guest has with the rental must be reported immediately to Maui Gold Condos via the email and or phone number listed in the rental unit's directions and entry instructions. Owner and Maui Gold Condos have a reasonable amount of time to restore rental to acceptable conditions. Any issues presented AFTER check out can not be remedied and are not cause for compensation to Guest. Please do not wait until your last day or after checkout to present us with a list of issues at the property! Maui Gold Condos acts only as an intermediary for the owners providing accommodations, transportation and services to Guest. Under no circumstances shall Maui Gold Condos, managing agents, owners of rental, and/or their respective employees be responsible for any loss, expense, damages, claims or injury direct, indirect, consequential or otherwise whatsoever, caused or incurred whether arising in contract, or otherwise in law or equity as a result of rendering of the services or accommodations as described in this Agreement or as a result of any delay(s), substitution(s), rescheduling(s) or change(s) in the services or accommodations arranged by Maui Gold Condos. Additionally, Maui Gold Condos, managing agents, rental owners, and/or their respective employees shall not be responsible for any loss, expense, damages, claims or injury direct, indirect, consequential or otherwise caused by reason of military actions, acts of God, or by any agents, employees, subcontractors, servants or services as provided or substituted. Maui Gold Condos at all times will act in good faith and use its best efforts when required under this Agreement to substitute with accommodations or services of a type comparable to those contracted. Maui Gold Condos reserves the right to refuse or discontinue service to any person(s) and/or to rescind any contract for accommodations or Guest services and Maui Gold Condos will not be liable under any circumstances, including substitutions, to refund any unused portion of booked accommodations or services. Maui Gold Condos, managing agents, rental owners, and/or their respective employees are not responsible for theft or damage of personal property and no refunds will be given for any such occurrences. Guest and all occupants have been advised not to leave personal articles in locked vehicles, even if in the trunk; to always lock their vehicle; to always secure the rental. If renting mopeds, bicycles or any vehicles, Guests are strongly encouraged to arrange for additional insurance, which provides adequate protection in the event of damage or theft arising out of such activities. Guest acknowledges that, if all rental monies have been paid, the maximum recourse the Guest has against Maui Gold Condos for any alleged breach of this Agreement is the amount of the rental paid or to be paid to Maui Gold Condos arising out of this Agreement. We reserve the right to substitute comparable accommodations without notice or liability should the unit become unavailable for any reason. When comparable accommodations are not available, renter will have the option of selecting from available properties at the published rate or receiving a complete refund of the reservation deposit. The above rental information, while deemed reliable, is not guaranteed. Although every precaution is taken by Maui Gold Condos LLC, errors in price and descriptions can occur. Rates, descriptions and availability are subject to change without notice. Changes in bedding, furnishings, inventory, amenities, and or decor occur from time to time and such changes will not void or alter the terms of the rental and is not a valid reason for cancellation.